Have you ever experienced a situation when you are using your PC but suddenly a message pops up on your phone and you have to reply, then a conversation begins and you have to switch between both your phone and computer and it’s too much to handle? If yes, then there’s a solution to this problem. Now you can simply open a window on your PC and reply to the messages on your phone. 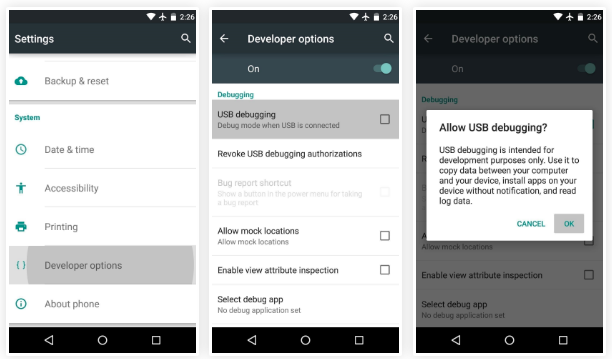 Additionally, you can take control of your phone on Windows via USB cable. For that, you’ll have to download the Vysor app which is easily available on chrome web browser. It can be done on any operating system. Once you’re done with installing it, launch it on your device. Then follow the prompt for installation. 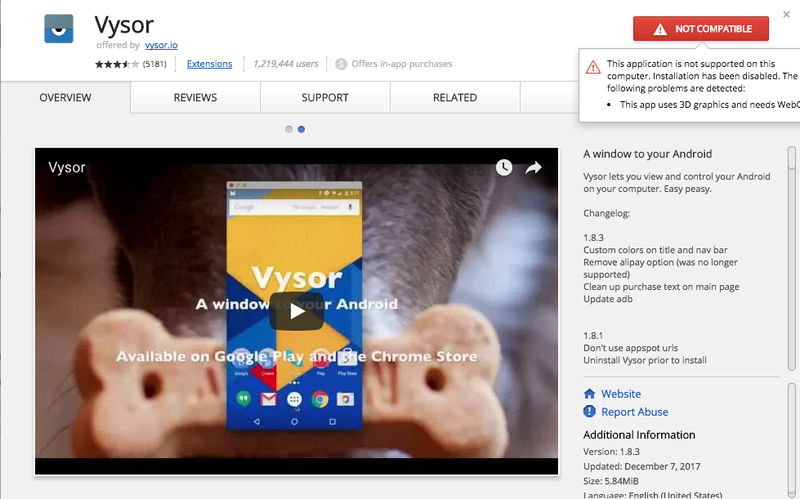 Open the link, click add to chrome button on top of your screen to download the Vysor chrome app. 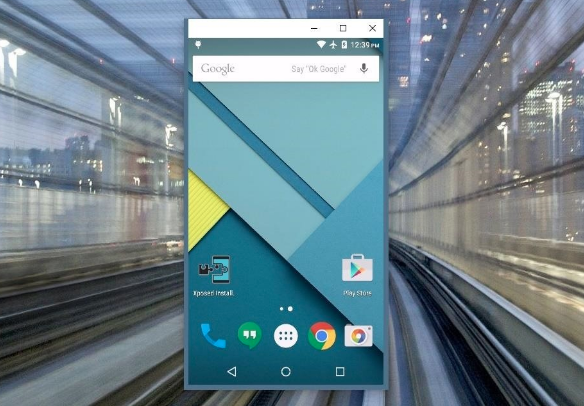 Once it is installed, launch the app or open chrome app launcher from bookmarks bar at the top of your screen. Then, click on Vysor icon. 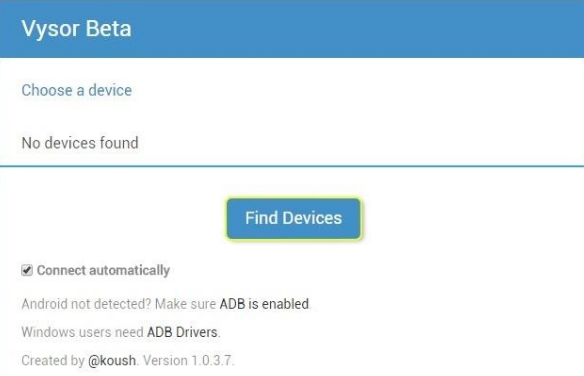 Installing both Vysor app and ADB drivers, using your android phone on Windows PC would be way more easier. 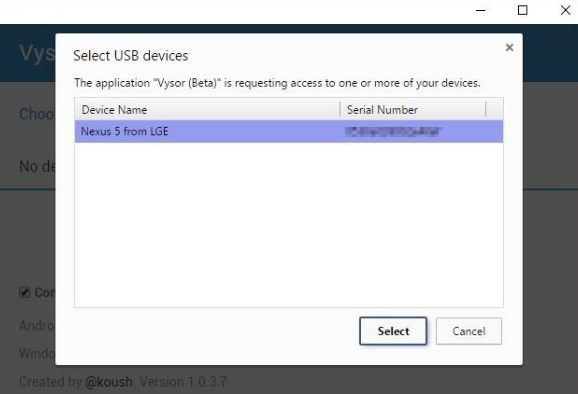 Start by clicking “Find devices” button on Vysor’s main menu. Further, choose your Android device then click “Select” just by doing it you’ll be able to view your mobile screen on Windows PC. If you’re having any trouble doing this then go back to step 1 amd review it. Esc for back button and F1 to access Android menu. Note: For sharing make sure you have a pro version of this app for which price varies. 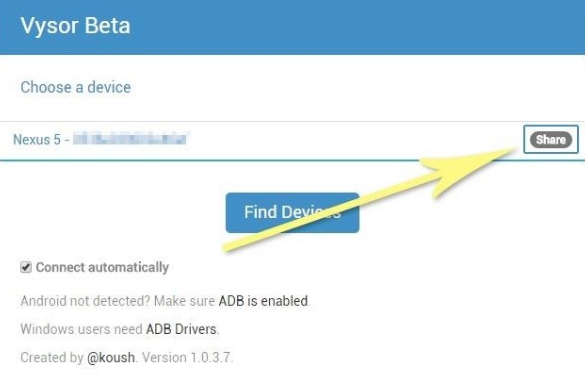 If you want to share your device with another person it could be for any purpose like troubleshooting then you can do it easily. Just connect your mobile phone to your PC like usual then click share in Vysor’s menu.